Registering for wedding gifts is one of the best parts of being engaged. Suddenly, picking out sheets, pots, pans and china becomes incredibly appealing—though sometimes a bit overwhelming. We've been keeping tabs on all the latest and greatest home items to hit the shelves, here are some of our current registry favorites. 1. 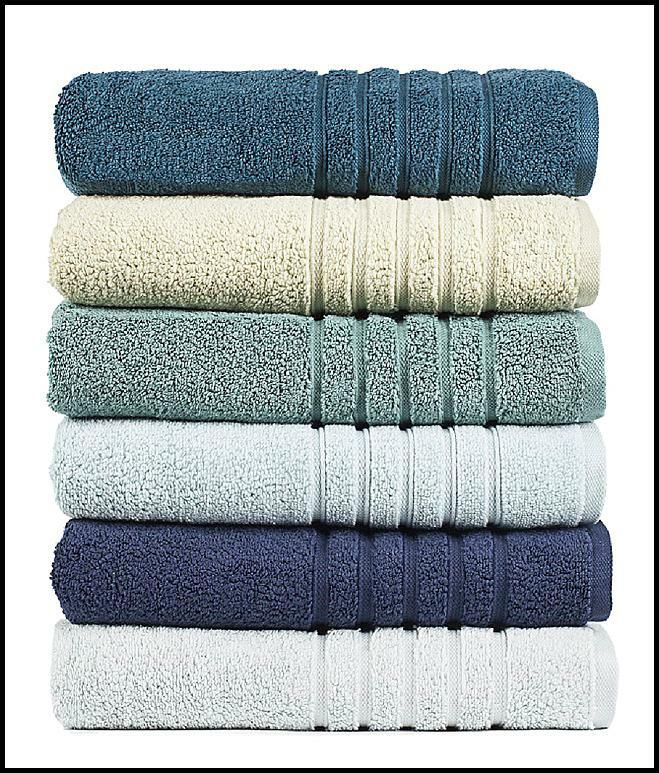 Hotel Collection Ultimate Micro Cotton: Luxurious and plush towels are must for every home. And the Hotel Collection Ultimate Micro Cotton is at the top of our wish list. Supremely soft, incredibly absorbent and best of all, these towels continue to maintain their softness after multiple washings--no pilling, no crunchy fabric. And the colors are gorgeous—from neutrals to on-trend grays and blues with plenty of brights, there is a palette for every bathroom. $14-$57; Available at Macy's. 2. 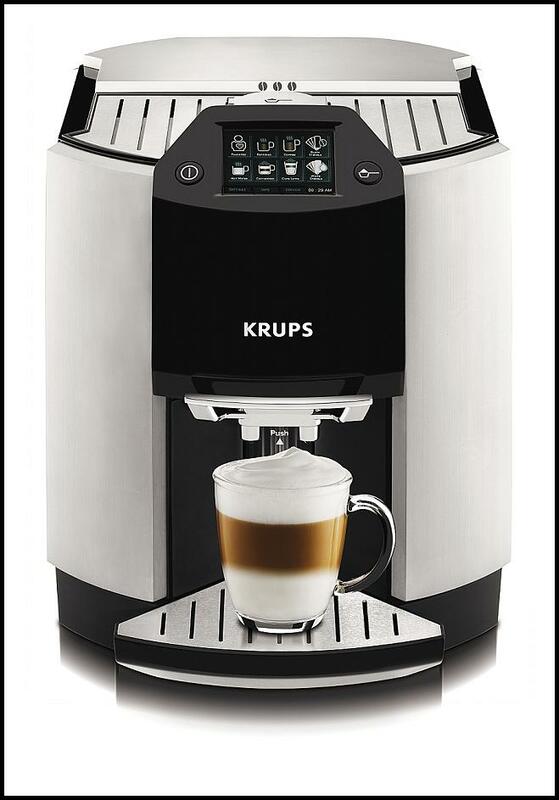 Krups Savoy EC314: Ensure your mornings start of right with a sleek, modern coffee maker like Krups Savoy. Offering all the necessary bells and whistles—think integrated water filtration system, auto-on program settings (just pick your time and your coffee awaits), and a gold tone filter which eliminates the need for purchasing coffee filters. The ability to brew one cup or a full 12-cup pot is perfect for households with single caffeine junkies. $79 at Krups. 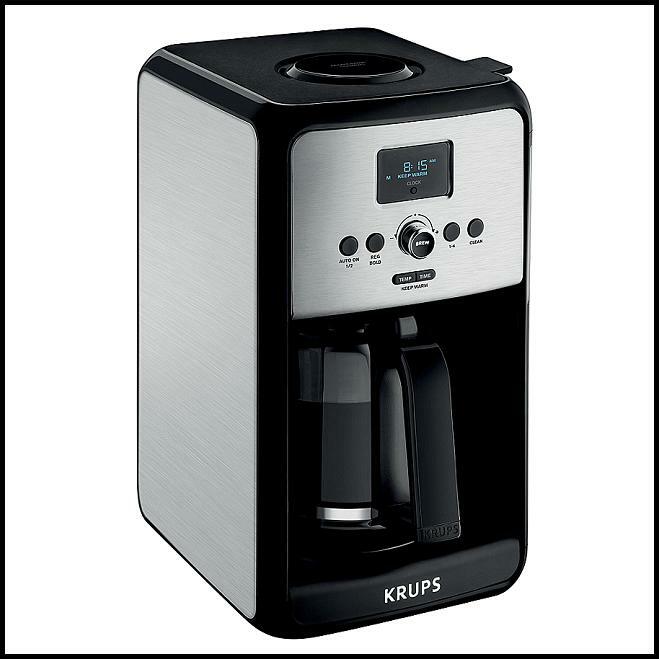 Krups EA 9010: Take your coffee serious? Then this high-end machine is like having a barista in your kitchen every morning. With more than 17 different coffee recipes ready at the press of the button, this fully automatic espresso/cappuccino maker will deliver your vanilla latte with ease. An intuitive touchscreen makes it simple to customize your brew, from flavor and strength to temperature and quantity. $2500 at Krups. 4. 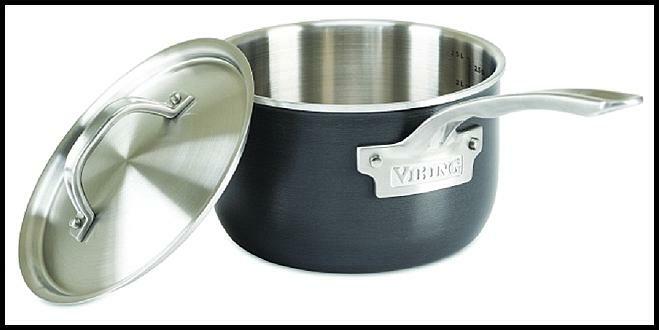 Viking 5-Ply Hard Stainless Cookware: Get your Martha Stewart on with these high-performance pots and pans from the luxury culinary brand Viking. Long-lasting and durable, this cookware set combines highly head conducive aluminum with a non-reactive stainless stell interior, a combo which delivers induction capable performance with the bonus of being dishwasher safe. 10-piece set, $599.95 at Viking Range. 5. 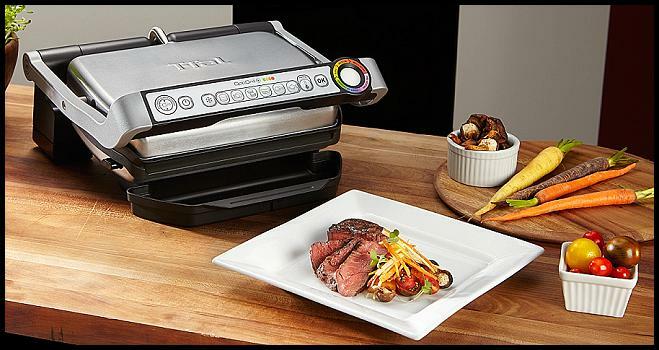 T-fal OptiGrill Plus: Perfect for a couple's first condo or apartment, the OptiGrill Plus makes it easy to grill indoors, with the added benefit of being a healthy and simple option. The built-in cooking sensor ensures a perfectly cooked meal by automatically adapting to the thickness of your steak, chicken or veggie patty to delivery perfect temperature, from rare to well-done. $179 at T-Fal. 6. Velvet Champagne Set: Bubbly drinkers, rejoice! Rabbit's Velvet Champagne set is a must-have. 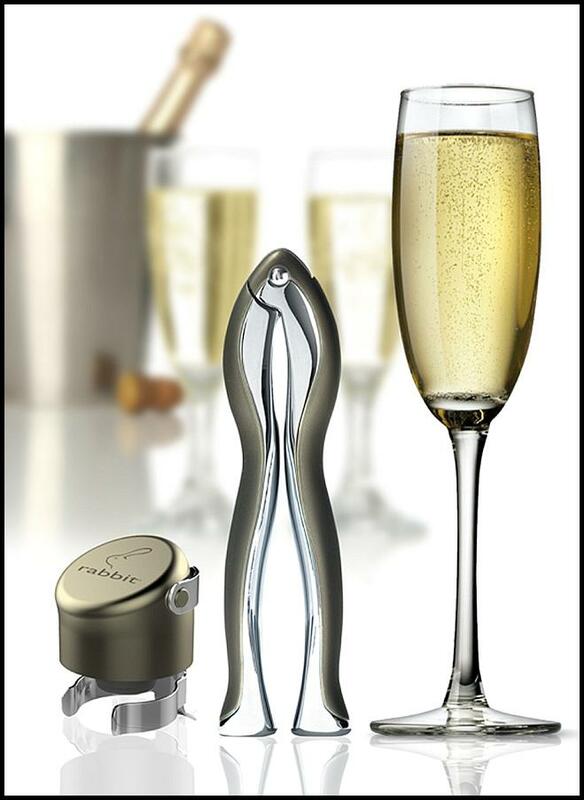 This sleek set includes Champagne pliers and a sealer that keeps bubble drinks fresh—so if you want to pop open a bottle of Prosecco, but don't have plans to finish off the bottle, Rabbit's chic set will keep it fresh for a few days. $30, at Rabbit Wine. 7. Push Muddler: Cocktail aficionados will love Rabbit's Push Muddler featuring a specially-designed spinning head that crushes ingredients to help enhance the herb's flavor. 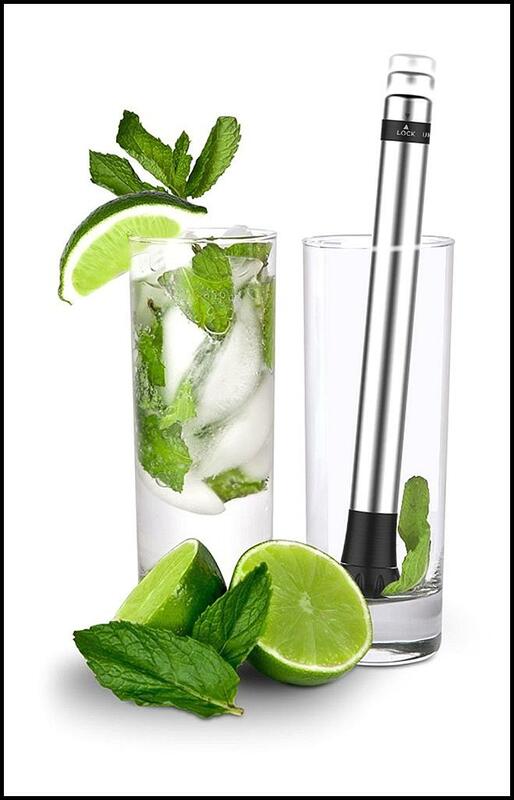 Makign a mojito has never been easier! $15, at Rabbit Wine. The majestic mammal would make a surprisingly good wedding planner.